Who wants to win a $100 Amazon Gift Code?! Â This is your chance to win one of THREE of them! All entries are chances to win. The more you complete, the more entries you receive. All rafflecopters entries will be verified. All winners are subject to be publicly announced on blogs and social networks. Giveaway is open to US residents. If the winner is not verified and replied within 48 hours we reserve the right to choose a new winner. Please allow the rafflecopter widget to load below. Get FREE Reach dental floss at Walmart! Print your coupon (and print it twice!) for $1 off any one Reach floss product! These are 97Â¢ at Walmart – which means not only will they be free, but you’ll make 3Â¢ on each one! 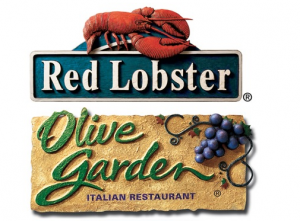 Print $5 Red Lobster & Olive Garden coupons! Couptivate – sign up for FREE! Expired daily deals are a thing of the past with Couptivate.com, a great new free digital wallet that securely stores and organizes your daily deal purchases from sites like Groupon and LivingSocial, as well as coupons. Couptivate brings every deal you buy and coupon you own to one, simple page, and sends you email reminders so deals and coupons will never expire or go unused. It’s the perfect organizational tool for getting the most out of your daily deals and coupons!Â It’s FREE to sign up! Here are the latest and greatest coupons from Cellfire! Not familiar with Cellfire? These are money-saving ecoupons that you can load to your store loyalty cards (full list of participating stores below). Load yours now so they’re available for your next grocery shopping trip. Walmart: FREE Duct tape with coupon! Duct Brand Packaging Tape is only $1.00 at Walmart! Use this 1.00 off 1 Duct Brand Packaging Tape coupon to make it free! Walgreens: Get Maalox for just 50Â¢ with this coupon! Starting today at Walgreens, Â Maalox Products are on sale for Â Buy One Get One Free. Prices should be around $3.99 â€“ use thisÂ $1.50/1 Maalox CouponÂ to score a great deal! =Â Â Just $0.99 for 2 after coupons and sale!